In the midst of protests and controversies about taking down Confederate statues and monuments, seemingly enlightened people state that we judge Robert E Lee too harshly, that he was a complex man who is considered by many to be a person of honor and rectitude. That may well be, but he led an army of rebellion against the United States to preserve an institution that he himself labeled a moral & political evil. In this enlightened age, there are few I believe, but what will acknowledge, that slavery as an institution, is a moral & political evil in any Country. It is useless to expatiate on its disadvantages.I think it however a greater evil to the white man than to the black race, & while my feelings are strongly enlisted in behalf of the latter, my sympathies are more strong for the former. The blacks are immeasurably better off here than in Africa, morally, socially & physically. The painful discipline they are undergoing, is necessary for their instruction as a race, & I hope will prepare & lead them to better things. How long their subjugation may be necessary is known & ordered by a wise Merciful Providence. Their emancipation will sooner result from the mild & melting influence of Christianity, than the storms & tempests of fiery Controversy. Robert E Lee's letter to his wife. How unfortunate that Lee didn't follow his better instincts and side with those who opposed slavery. 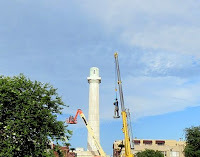 As regards the erection of such a monument as is contemplated, my conviction is, that, however grateful it would be to the feelings of the South, the attempt, in the present condition of the country, would have the effect of retarding instead of accelerating its accomplishment, and of continuing if not adding to the difficulties under which the Southern people labor. 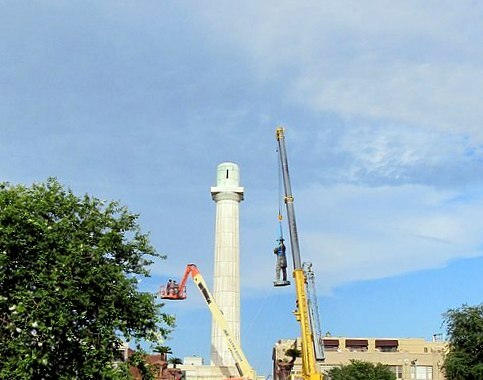 Yes, Lee was a complex man, but, according to the general himself, the country would be a far better place without Confederate monuments.